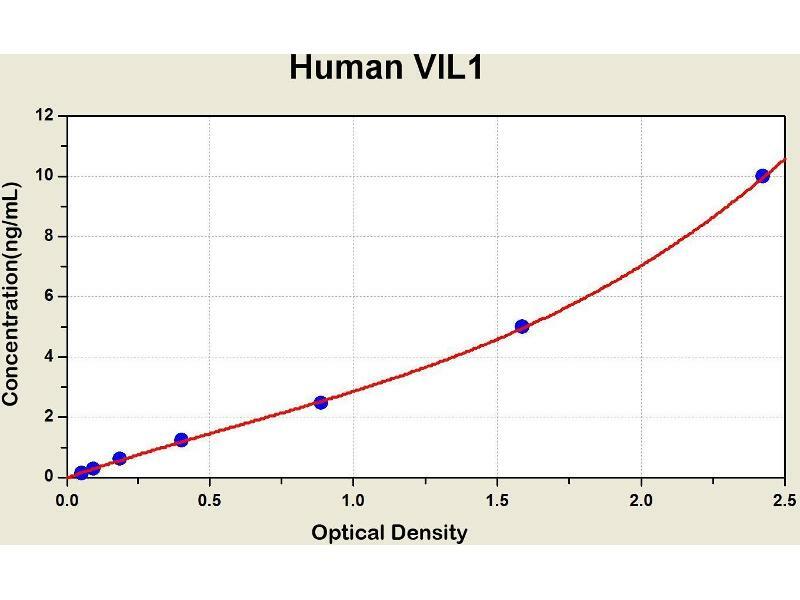 Diagramm of the ELISA kit to detect Human V1 L1with the optical density on the x-axis and the concentration on the y-axis. This gene encodes a member of a family of calcium-regulated actin-binding proteins. This protein represents a dominant part of the brush border cytoskeleton which functions in the capping, severing, and bundling of actin filaments. 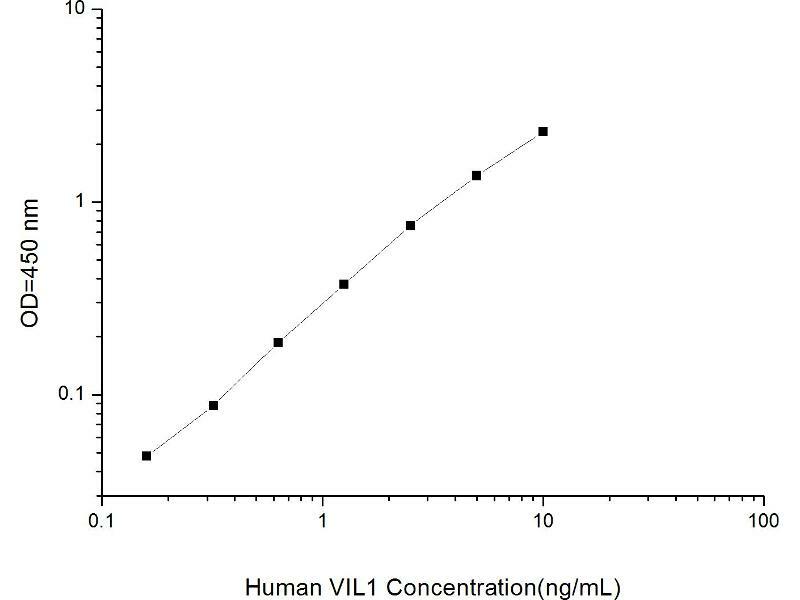 Two mRNAs of 2.7 kb and 3.5 kb have been observed\; they result from utilization of alternate poly-adenylation signals present in the terminal exon.